Over the past year running has allowed us to explore new cities - places we would never have thought about lacing up and running a casual 5k or 10k, let alone 21k. 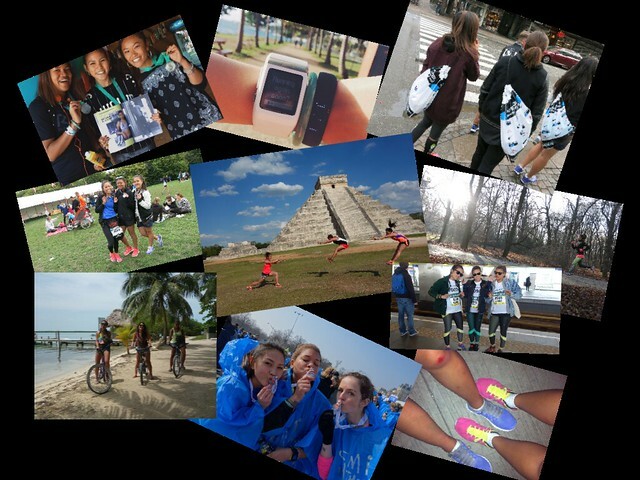 2013 alone has brought us many great opportunities to run in Paris, Rotterdam, Ek Balam, Chichen-itza, Playa Del Carmen, Flores, Isla Mujeres, Copenhagen and, of course, our home turf, London. We've been able to discover and make new friends during each and every one of our journeys. Friends who are willing to chaperone us around their city, allowing us to explore unforgettable routes; routes we would have never come across if not for them. December saw us running the beaches of the exotic city of Noumea and the chilly trails of Wroclaw's most stunning park - mixing it up, and ending our year with runs on total opposite ends of the spectrum! With ever mile we run, we want to leave our mark all over the world. On the cards for our 2014 are the sands of Egmond (Holland), the flat course of Berlin, the almighty London Marathon and Asian delights of Indonesia, Hong Kong and Taiwan, with London filling the gaps in between. So we ask, where will your next run take you in 2014? Where is your dream running destination?